The module is used for developing system visual interfaces. 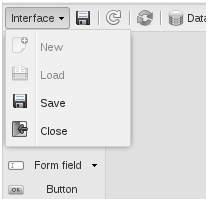 The module may be only accessed in the Development mode, which is available in the menu. 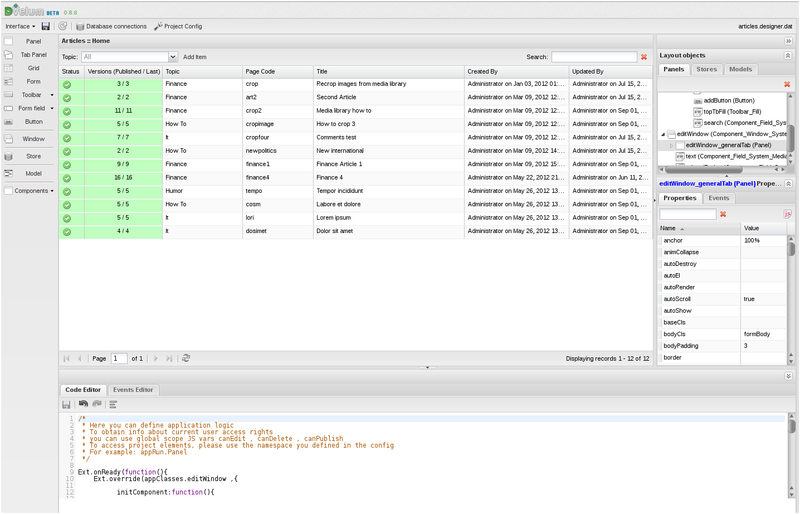 The main menu contains several management tools and the name of current project file (on the right). 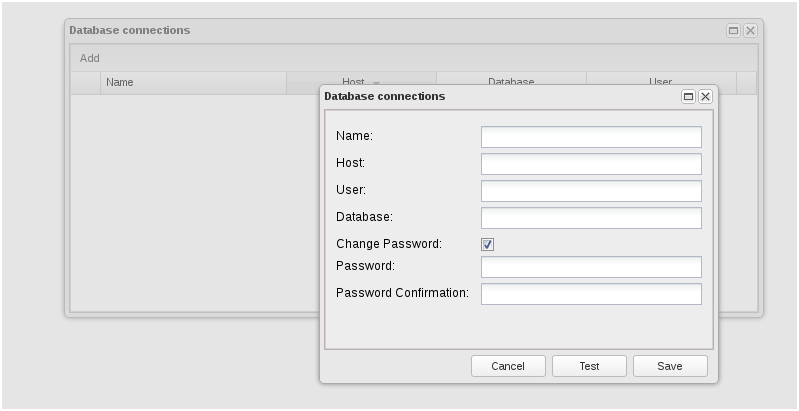 It enables you to open, close or exit a project. 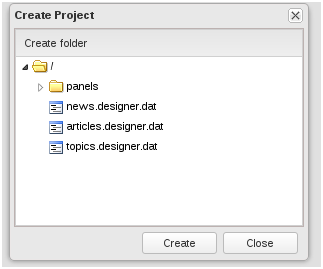 Object Upload and Create buttons open a window, which shows the file structure of the project storage and allows to create not only projects, but catalogues as well. 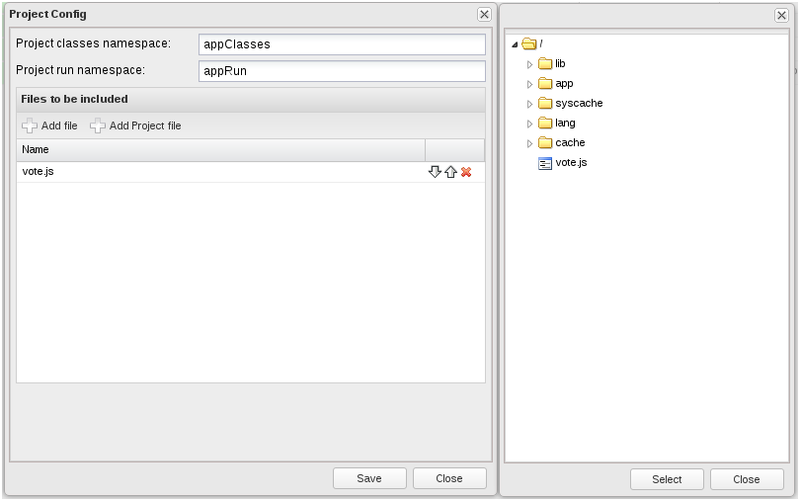 Project Run Namespace – the namespace of executable code (of created objects). It also allows to include third-party js-files or other projects into the project (e.g., a project describing a complex component, which is used in many interfaces). The central panel displays the results of the project code implementation. 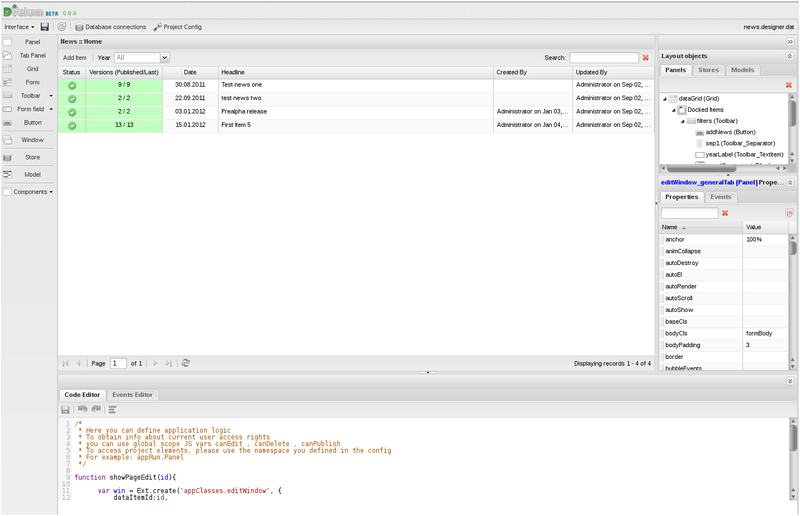 It shows the way your project will look after the code compillation. The lower part, which shows the properties of the selected object. Its view and opportunities may vary depending on the object type. There is also a search field for looking up properties and ‘JS’ button (shows JS code representing the object in the project). The panel is divided into two parts: Code Editor and Eventts Editor. 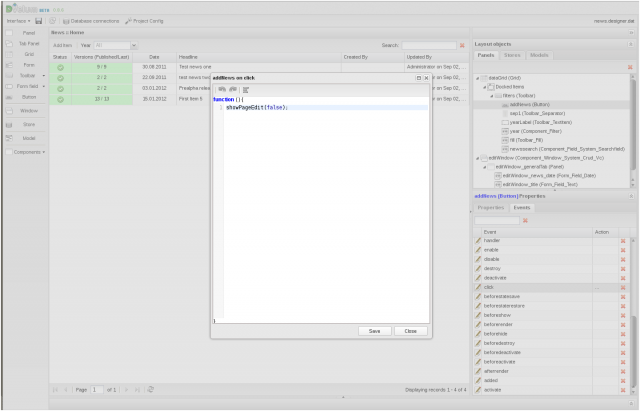 Code Editor is used for describing the logic, which does not fit the events model or if the events model of the builder is not used. You can also use your own IDE for editing action scripts, which are located in the following directory: www/js/app/actions. 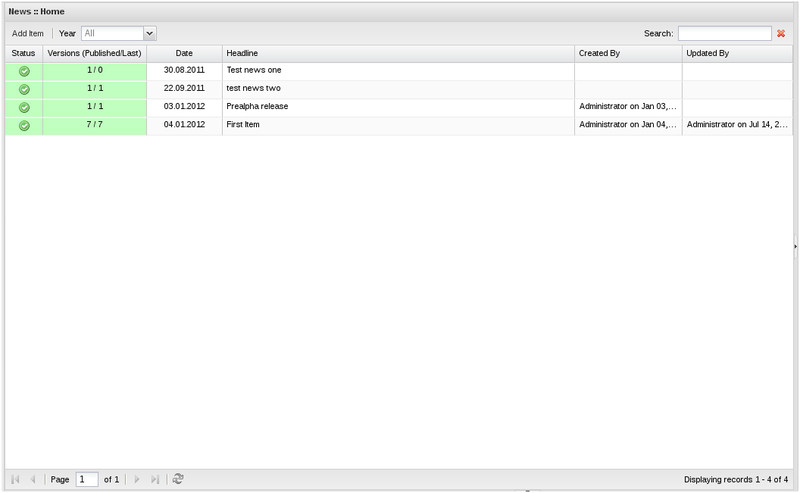 Events Editor is used for viewing and editing actions related to the events of the interface elements.